One of the most useful little introductions to Apple’s iOS 5 software are the new multitasking gestures on the iPad, which allow you to use four-finger swipes to switch between the apps you have running in the background. Unfortunately we didn’t get these on the iPhone, but thanks to a new jailbreak tweak called Zephyr, we can add them ourselves. 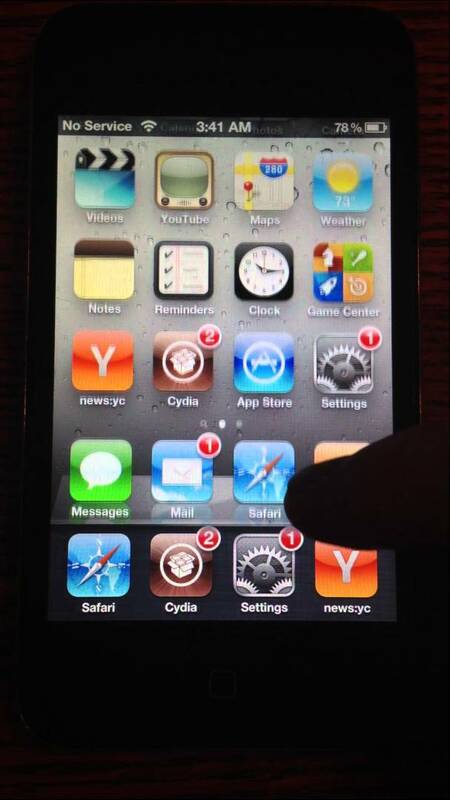 Zephyr has been created by Grant Paul (chpwn), the developer of a number of popular jailbreak tweaks for iOS devices. The tweak is similar to the iPad’s multitasking gestures in that it lets you flick between the apps you have running, but it doesn’t use a four-fingered gesture, which would be pretty tricky on the iPhone’s small display. Instead, Zephyr uses a simple one-finger swipe similar to that featured on the Meego-powered Nokia N9, which was the inspiration for this tweak, according to 9to5Mac. As you can see in the video above, the gesture appears to be very smooth and responsive. The tweak also introduces a gesture that was thought up by concept designed Max Rudberg, which allows you to swipe up from the bottom of your iPhone’s display to access the multitasking tray. Zephyr is available from the Cydia store now for $2.99.